Pro Israel organisations recently launched a vile attack on the National Union of Teachers (NUT) and the charity Edukid for developing a resource pack for teachers which depicts the reality of life under Israeli occupation for Palestinian children. The subject used to tell the story is ten year old Saleh, a Palestinian child from Alkhalil, Hebron. Adults and children in this occupied city suffer terribly from the actions of the Israeli occupation army and the settlers who deliberately make the lives of Palestinians miserable. 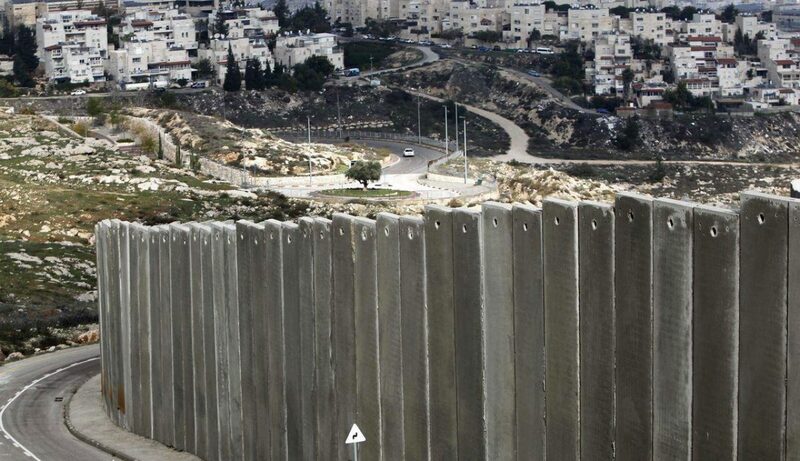 Both the army and the settlers are there illegally. Hebron fell to the Israeli occupation in the six-day war in 1967. Reports on the attack can be found here, here, here and here. One objection to the use of Saleh is that he is pictured in a Facebook post holding a gun. This is an Eid present, a toy gun. 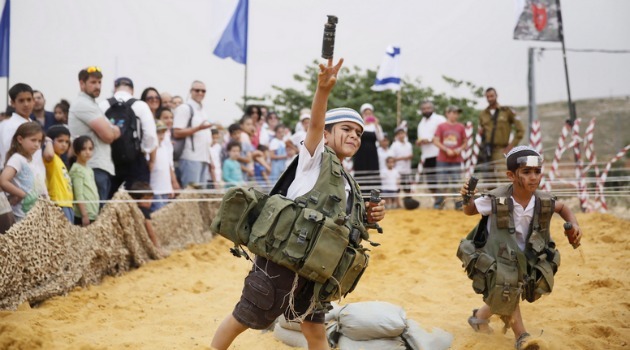 See below Jewish settler children holding real guns. Where is the outrage form pro Israel extremists? I wrote letters to the Daily Telegraph and the Daily Express in response and the main content is reproduced below. Neither has as yet been published. Dear Editor I am concerned as a Palestinian that the aim of this viscous attack on the National Union of Teachers, mounted by pro-Israel groups is to discredit the work of the National Union of Teachers (NUT) and EDUKID simply for accurately portraying the lives of Palestinian children under occupation by Israel. We Palestinians did not choose our occupiers. Zionists chose Palestine for their state, and created it through violence and against our will, the indigenous people of the land. The telling of our story troubles Israel’s apologists because it exposes the oppressive, occupying state they have worked tirelessly to promote as a democracy and a startup nation. The world is seeing through this hasbara and they will now attack anyone that is determined to demonstrate solidarity and tell our story. By providing real life case studies for teachers, of children that suffer through no fault of their own, the NUT and EDUKID are helping children understand the world beyond their bubble. Children are not stupid, they will engage in a discussion and will learn tremendously form this. It is true to say that Palestinians refer to their occupiers as ‘the Jews’. Are the agitators against the NUT claiming that the Israeli Defense Force is not overwhelmingly made up of Jews? In almost all cases, the only Jews the children see are soldiers. Furthermore, Israeli Prime Minister Netanyahu himself works tirelessly to claim Israel is a Jewish, not a secular state. It is also important to note that Israelis almost always refer to Palestinians as ‘Arabs’ in order to deny their national identity. Instead of this disgraceful assault on the NUT and EDUKID, those behind this attack should invite teachers who joined delegations to Palestine to talk to their constituencies about what they saw first hand. I can guarantee that they would not accept for their children what Israel, through its occupation army and its illegal settlers subjects Palestinian children to. Better still, they should go and see the situation for themselves. They should visit Alkhalil, Hebron and see the impact on the children of the occupation and the illegal settlers. They should see how settler children throw rocks and excrement at Palestinians, protected by the army. They should see the checkpoints the children have to cross to get to school. They should experience the raids in the early hours to abduct children or their relatives for interrogation. They should experience a house demolition and the terror the children experience. It is Palestinain children that are on the receiving end of extremism. The telling of their stories is not! Further, he Senior Conservative MP, Alan Duncan, called those who support the settlements as extremists. Your readers will find that many among those that have attacked the NUT support the settlements and Duncan’s label fits them well!